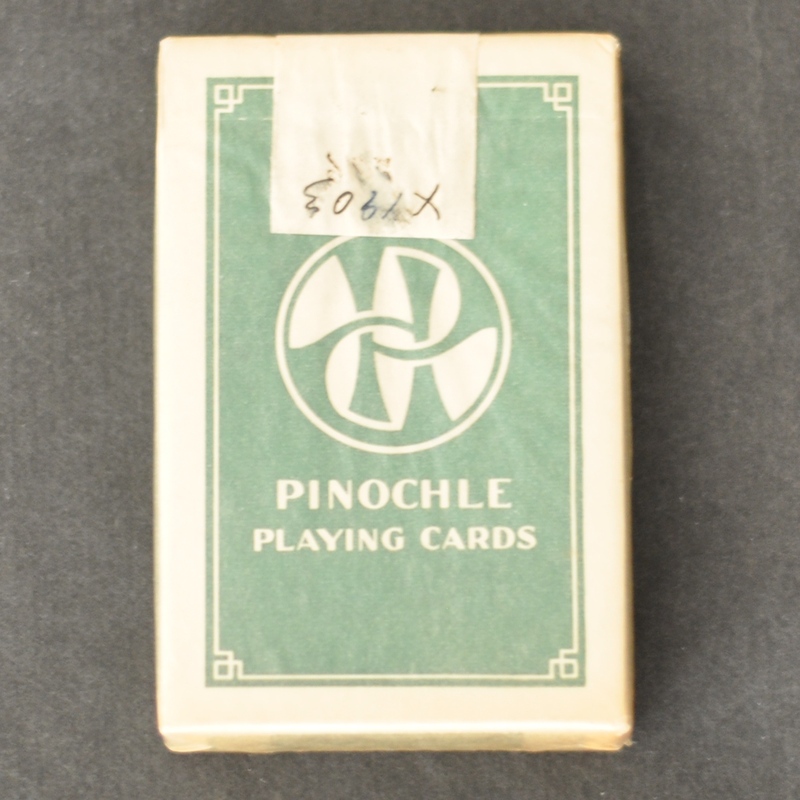 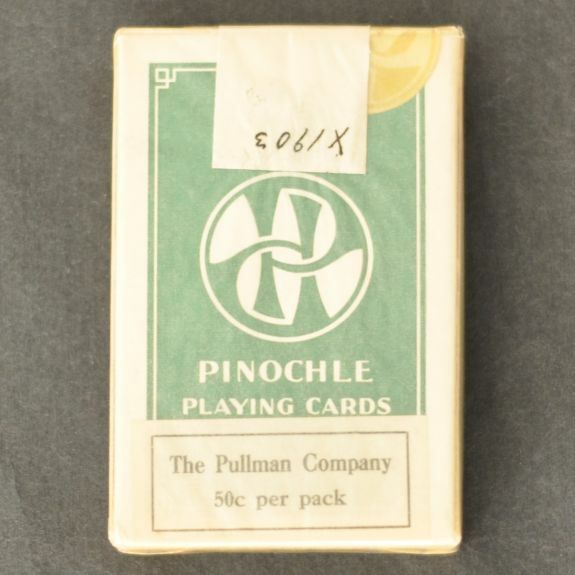 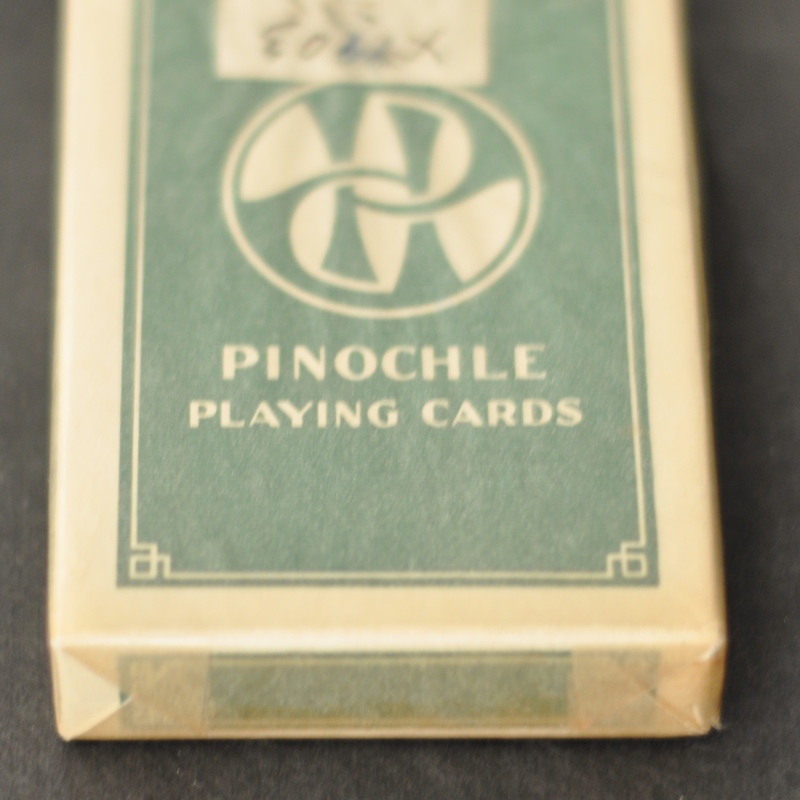 Size 2.5" x 3.75" x .75"
Description Pullman Green Sealed Box of Pinochle Playing Cards wrapped in wax paper. 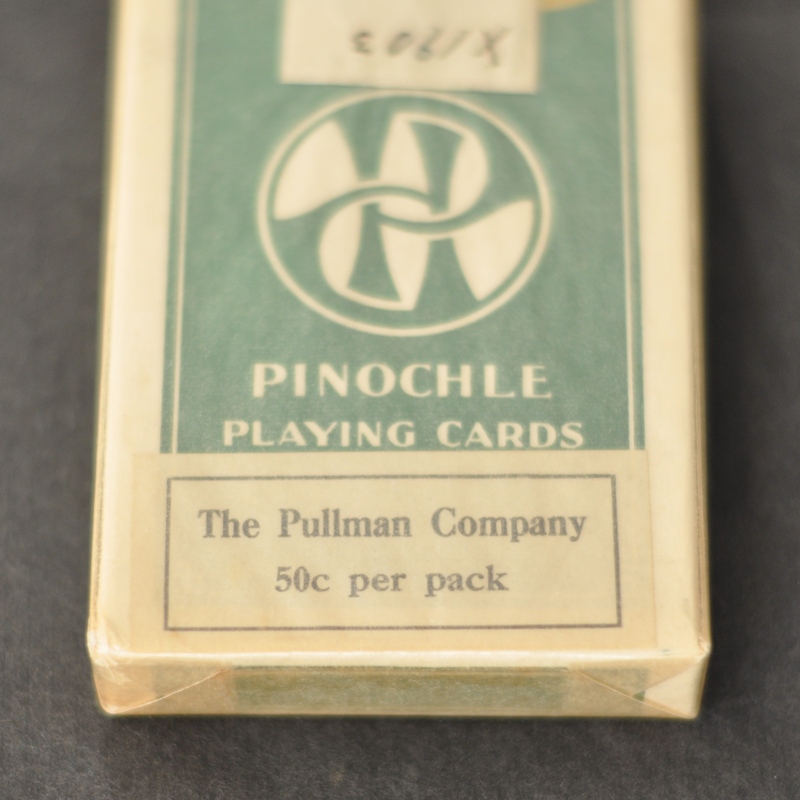 Still has gold seal and marked The Pullman Company 50c per pack. 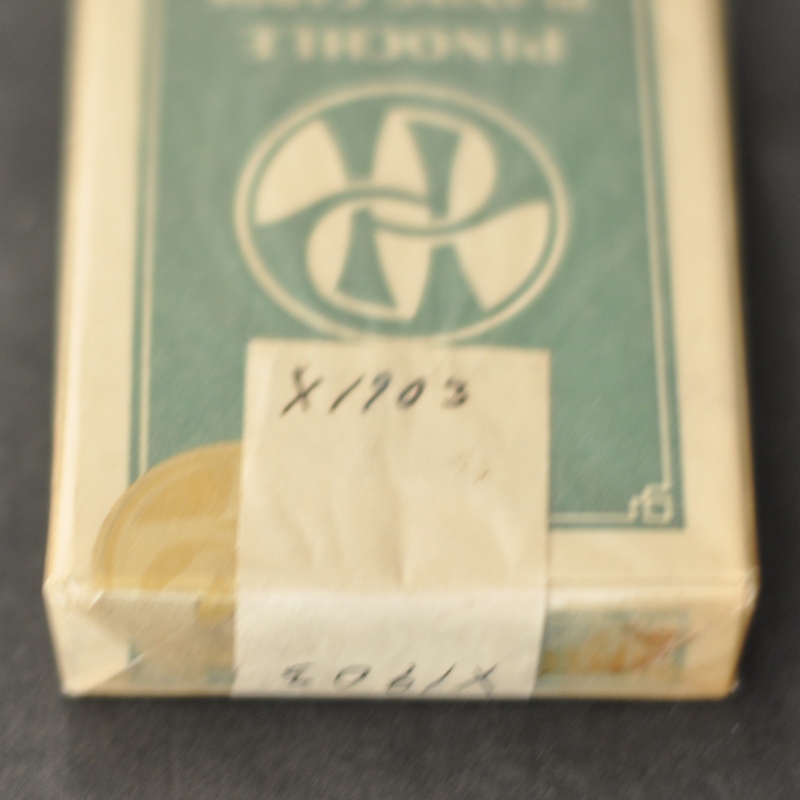 Has X1903 written on a sticker.